The Board of directors of Schibsted ASA resolved on 18 September 2018 to initiate a process to reorganize the company into two growth-oriented companies. The international online classifieds operations (preliminarily named “MPI”) will be spun off and established as an independent, listed company. Schibsted, meanwhile, will comprise all activities in Norway, Sweden and Finland – including Finn.no, Blocket.se and Tori.fi. Schibsted will continue to invest, building on its footprints in the Nordics. Schibsted’s strong track record, competence and market positions constitute a solid platform for innovation. In this connection, the Board has concluded the strategic review of Lendo and decided that the company will continue as a fully-owned entity, constituting a driving force in our cluster of personal finance-related operations. The Board has appointed Rolv Erik Ryssdal as the new CEO of the MPI. As the new CEO of Schibsted ASA, the board has appointed Kristin Skogen Lund. The spin-off of MPI will be done primarily as a demerger. The shares are expected to start trading in 2019. The proposed transaction represents an important strategic step forward for Schibsted, as it allows the two new entities to set out their best strategic courses individually. Schibsted will optimize its value creation for shareholders, society, customers and employees by continuing to invest in digital consumer services on the one hand and active participation in the development of the international online classifieds industry on the other. Schibsted has a history of utilizing new technology, creating new services, developing new markets with potential for significant value creation and adapting to rapidly changing markets. These values will remain at the core of both Schibsted and MPI. Although Schibsted plans to retain a significant ownership position in MPI, the new, separately listed company will have a simplified governance structure with no ownership or voting limitations. Initially MPI will inherit Schibsted ASA’s structure with A- and B-shares carrying different voting. However, Schibsted as a majority owner will support an amalgamation into only one share class in due course. The new company will be well equipped to play an active role in any structural development of the online classifieds industry. 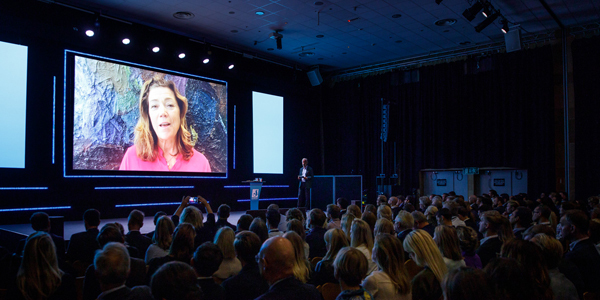 Schibsted is deeply embedded in the daily lives of consumers in the Nordic region. Every week Schibsted reaches 79 percent of consumers in Norway and 82 percent in Sweden, contributing to the everyday lives of millions of users in these markets. Over the past two decades, Schibsted has transformed from a newspaper holding company into a large online media company. Schibsted has a proven track record of leveraging its consumer relations and forward-looking mindset to incubate and develop new business models with international potential to the benefit of shareholders, society, customers and employees. Finn, Blocket, Leboncoin, OLX in Brazil and – recently – Lendo are great examples of this. Positioned in one of the world’s most dynamic regions in terms of digital services, the company will continue to be on the forefront of innovation and structural growth. Schibsted will continue to deepen its customer relationships through its leading consumer brands and leverage its ability to collect and process data to develop its consumer and advertising offerings. We will build on the combined forces of Finn/Blocket/Tori, personal finance-assets like Lendo, and the publishing activities, and believe developing these assets closely coordinated is the best way to maximize the potential of each one of them. As an integral part of this move, the company’s special dedication to developing, independent and trusted editorial content will prevail. In the last 10 months, Schibsted has conducted a strategic review of Lendo which has provided further evidence of Lendo’s potential as a company. We firmly think that continued full ownership is in our shareholders’ best interest, despite significant interest from potential partners. We are excited to see the potential for targeted international expansion in small- and medium-sized markets. Lendo plans to launch activities in Poland, Denmark and Austria i 2018 and 2019. On this basis, Lendo will continue as a fully-owned entity, constituting a driving force in Schibsted’s cluster of personal finance-related operations. Classifieds – Finn.no, Blocket.se and Tori.fi – the clear leaders in digital marketplaces in the Nordics with deeply entrenched market positions in verticals, generalist marketplaces and adjacent business areas. New growth initiatives – Prisjakt, Let’s Deal and other existing and new digital services aiming to disrupt existing markets. A significant active ownership stake in MPI. Finn and Blocket will maintain a close relationship with MPI in order to exchange best practice and share product development in relevant areas. “I am very happy to welcome Kristin Skogen Lund as Schibsted’s new CEO. I am convinced that she is just the right leader for the next phase of Schibsted’s journey,” Chair of the Schibsted Board Ole Jacob Sunde says. Kristin Skogen Lund has worked for Schibsted for twelve years until 2010 when she became EVP at Telenor with the responsibility for Telenor Nordic, a business with a turnover of EUR 6 billion. She was an important contributor to Telenor’s digital transformation, initiating and leading Telenor Digital Services. For the last six years, she has been a skillful and prominent leader of the Norwegian Business Confederation of Enterprise. During this period, she served on the Board of Ericsson, the Swedish technology company. “Schibsted is an impressive company with an important role in society. A company that has tackled demanding transformations, and that truly has innovation as a key pillar in its DNA. I am proud and humble to have the opportunity to help Schibsted build on its already strong positions, and equip the two companies for the future,” says Kristin Skogen Lund. Rolv Erik Ryssdal will continue as CEO until Kristin Skogen Lund joins Schibsted, most likely by the end of 2018. As one of the global market leaders in online classifieds, MPI (preliminary name) is dedicated to providing perfect matches on the world’s most trusted marketplaces and to creating value for buyers and sellers. “The company will continue to strengthen its roots in verticals like cars, real estate and jobs in order to further monetize its market-leading positions. The company will remain focused on top line growth as well as margin and cash flow improvement,” CEO Rolv Erik Ryssdal says. MPI is in an excellent position to develop new models that will define the future of online marketplaces. The simplified governance in MPI will make it possible for the company to actively take part in any attractive M&A transactions or structural changes in the industry. Leboncoin.fr – the leading online classifieds site in France with leading positions in real estate and cars. Reaches 28 million consumers every month. Schibsted Spain – the leading online classifieds player in Spain. 50% ownership of the joint venture OLX Brazil – the leading online classifieds site in Brazil. Strong positions in Italy, Austria, Ireland and Hungary. Shpock – native mobile marketplace downloaded more than 50 million times with presence in 6 countries. Leading marketplaces in investment phase in Mexico, Chile, Belarus, Colombia, Dominican Republic, Morocco and Tunisia. Rolv Erik Ryssdal has held various executive positions in Schibsted, including head of Schibsted Classified Media, before he became CEO of the Group in 2009. “I am very glad that Rolv Erik has accepted the position as CEO of the new international marketplaces company. He has done an outstanding job in the nine years he has served at the helm of Schibsted,” Ole Jacob Sunde says. “An important part of my work during this period has been to build up our international online classifieds business. Leading a separate listing and further expansion of this part of Schibsted will be a great new challenge for me,” Rolv Erik Ryssdal says. The Tinius Trust fully supports the Board’s proposal. The Trust owns 25.6 percent of votes and 23.8 percent of the total shares in Schibsted ASA though the fully controlled Blommenholm Industrier AS. Note: Revenue and EBITDA of MPI is calculated by reducing the reported amounts of the current Marketplaces operating segment by revenues and EBITDA of marketplaces operations in Norway, Sweden and Finland. Revenue and EBITDA of Schibsted ex MPI is calculated by increasing the total of reported amounts of the current Publishing and Growth operating segments by the same amounts. No adjustments related to Other/Headquarters are reflected, and the difference between the sum of the two entities and Schibsted Group is related to Other/Headquarters. No adjustments are made to reflect potential effects on reported revenues from changes to intragroup sales being eliminated within or between operating segments. Schibsted will host an investor and analyst conference today, 18 September 2018, at 14:00 CET. For manual dial-in, use the following number (note that this connection might take more time): +47 2100 2613. Passcode: 611415. Source: Forbruker & Media 18/1. Includes Adresseavisen, owned through Schibsted’s associated company Polaris Media.